Lightly grease a 9 inch Bundt cake pan. Pull off pieces of thawed bread dough and form into balls. 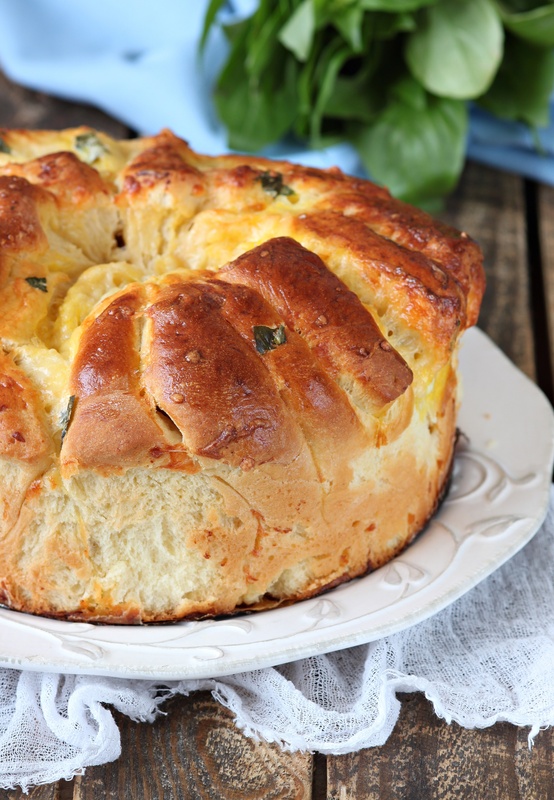 Combine margarine and egg in a small mixing bowl; mix in cheese, garlic powder, salt and parsley. Dip dough balls into mixture and layer in the prepared pan. Cover and let rise until doubled in volume, about 45 minutes. Bake in preheated oven until golden brown, about 35 minutes..